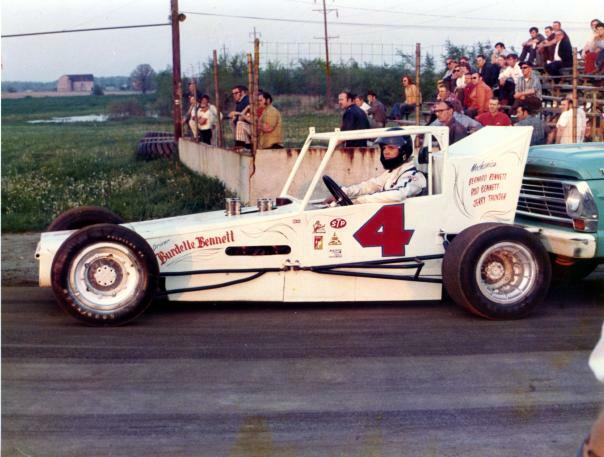 A 1970 shot of Burdette in his first car at Butler Motor Speedway, Quincy MI. 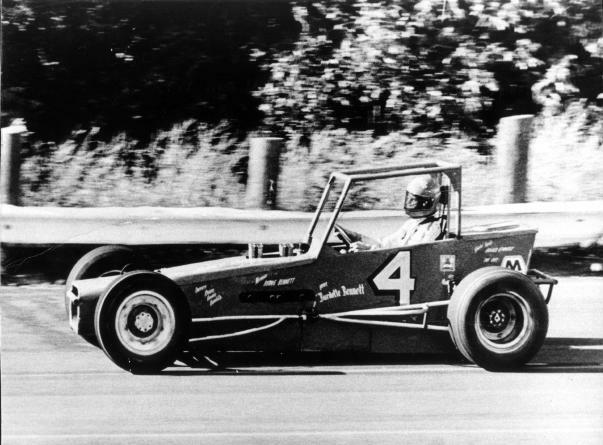 In 1972, Burdette was driving the Pete Webster car. 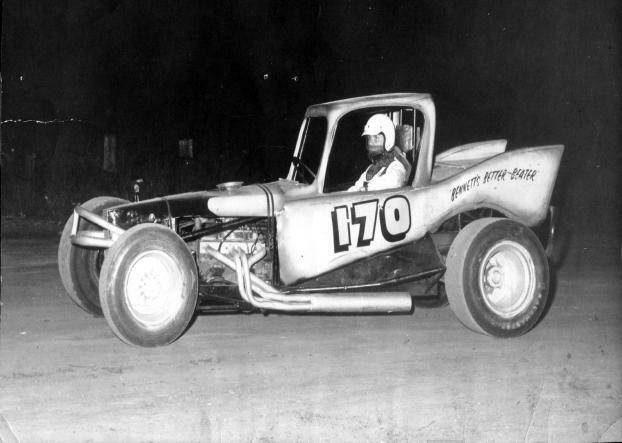 Here is Burdette in the car at the the Steban County Speedway in Angola, IN. 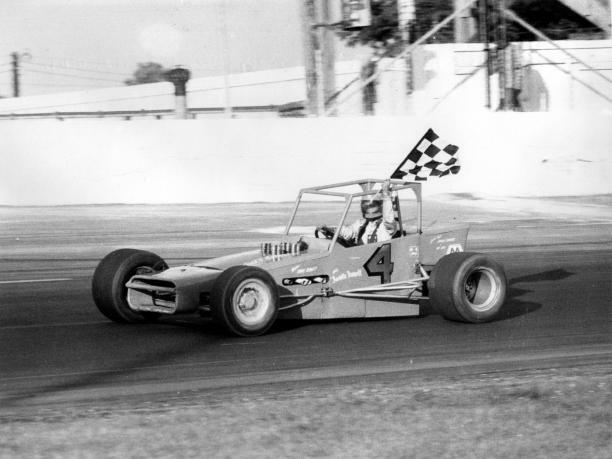 Burdette with the checkered after winning a race at Berlin in 1973. Again, the Pete Webster car. In 1973, Burdette bought the car from Pete Webster after Johnny Logan drove it in NY. This picture is at Owosso, MI in 1973. 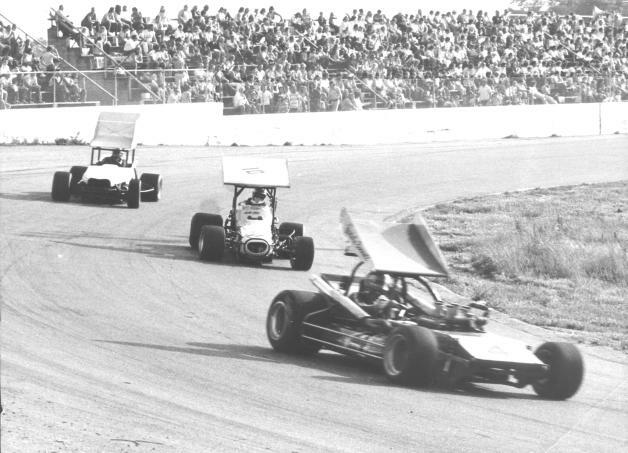 June 6 1973 at Kalamazoo, Burdette leads Danny Johnson and Ozzio off turn 2.